At the very top of the multi-billion-dollar-a-year world of collector cars there is a small group of people who know practically every detail of every great car ever built, who know every major collector on a first name basis, and who buy and sell these cars, moving them like chess pieces on a board that circles the globe. In such a group, there must be one who plays the game better than all the rest, and that man is Don Williams, head of the Blackhawk Collection—the man who buys and sells more million-dollar cars than anyone else in the business. • Intercity Lines is a family owned and operated business. 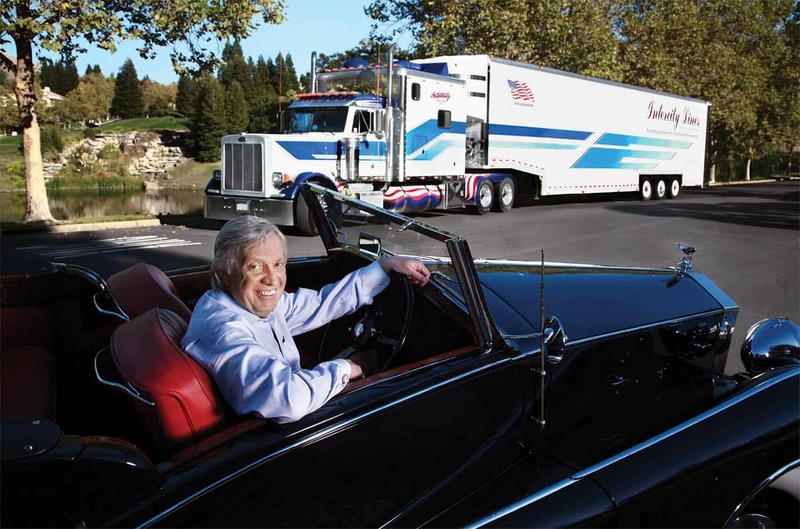 • For over 35 years we have specialized in auto transport; it’s all we do. • We deliver door-to-door direct to your home or business. Your automobile is never dropped at a terminal where damages can occur. • We employ only the best of drivers, professional, courteous, and experienced; they’re the #1 reason our loyal customers return—time and time again. • We provide fully enclosed transporters, lift-gate loading, sophisticated QUALCOMM satellite tracking, and insurance coverage. • We deliver anywhere in the continental United States.